My greatest challenge when it comes to trademarks is the marketing department. In most cases, marketers tell their clients, when choosing a trademark, to select a mark that “describes” what they do. 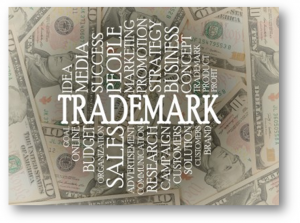 Trademark lawyers tell clients, do NOT choose a mark that describes what you do. Instead, select a mark that is unique and distinctive, not descriptive. A trademark that is descriptive is considered weak, even if you get it registered. Also, why would you want a mark that everyone uses in casual conversation, e.g., the House Boat for house boats, or the Copy Center for a copy center. Even if it was registered, you’d be constantly fighting to protect what few rights you have. The best way is to make one up – be original and creative! When counseling my clients, the best way for them to accomplish securing a strong mark is to make up a word and then market it to the hilt. The key is to secure a trademark that is uniquely yours. Examples of strong trademarks: Apple for computer and tech products, Google for search engines, Nike for athletic products, Microsoft for computer products, etc. Consider those same rules when choosing a business name. The Small Business Administration provides some additional points to consider when choosing your entity name. How will your trademark look? – On the web, as part of a logo, on social media. What connotations does it evoke? – Is your name too corporate or not corporate enough? Does it reflect your business philosophy and culture? Does it appeal to your market? Is it unique? – Pick a name that hasn’t been claimed by others, online or offline. A quick web search and domain name search will alert you to any existing use. If you intend to incorporate your business, you’ll need to contact your state filing office to check whether your intended business name has already been claimed and is in use. It is web-ready? – In order to claim a website address or URL, your business name needs to be unique and available. Next, check whether a domain name (or web address) is available. Until next time, I’m attorney Francine Ward sharing useful legal information. Join my conversation on Facebook, Twitter, or in one of my LinkedIn groups, Google+ Circles.